27 Nov 2018 --- Following 30 years in the pharmaceutical packaging business, Founder of AssurPack, Nancy Gruskin Warner, entered the emerging, yet somewhat booming, cannabis industry. Consumers are demanding when it comes to packaging and there is no exception when it comes to the cannabis market. However, as Warner tells PackagingInsights, “this is an industry without precedent,” with suppliers facing challenges related to swiftly changing regulations. However, the growing market and consumer enthusiasm do present ample opportunity for packaging NPD. As a host of US states and Canada legalize, in some form, the use of medical marijuana, the demand for adequate packaging solutions is on the rise. Bottles and vials have largely been used but the use of new forms of protective packaging, including environmentally friendly options, is increasing. More than one million Americans legally use medical marijuana, according to ProCon, and that number is projected to climb as more states vote to legalize medicinal cannabis. Though most patients ask for a prescription to alleviate pain, medical marijuana is also used to help ease symptoms associated with cancer, multiple sclerosis, Crohn’s disease and HIV. This means that quick turnarounds in regulations that can vary state by state have led to large losses for packaging suppliers. “The most challenging is the constantly changing labeling regulations. Cannabis companies have been forced to destroy hundreds of thousands of dollars in printed packaging due to labeling changes. States are evolving their labeling regulations and every change requires new and additional labeling,” she says. Things are more straightforward when it comes to child resistant regulations, which are imperative and can largely be met by companies who m Click to EnlargeCredit: AssurPack eet the CPSC Federal standards. According to the current requirements for cannabis packaging laid out by the California Department of Public Health, cannabis packaging must not resemble food items and it must be tamper evident and child resistant. Regarding labeling, the product cannot carry an advertised health claim nor resemble candy. The levels of THC and CBD must also be shared. Branding and imagery is just as important when it comes to cannabis packaging. In an increasingly diverse and busy marketplace, products need to stand out on the shelf. “Branding is a big part of this industry and packaging has to be able to meet these design requirements. We custom engineer many of our packages for each customer and also use many different coatings, foil embossing and customized inserts to personalize our packages to each product and brand,” says Warner. Click to EnlargeHippo Premium Packaging recently launched a line of Duallok packagesHippo Premium Packaging recently launched a line of Duallok packages which are certified child-resistant and aim to stand out as a more luxury-style packaging. The package consists of a tray and sleeve that cleverly locks and provides a reliable barrier to entry by children, but is easily opened by adults. 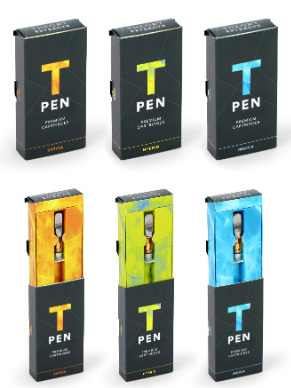 Uses include vape cartridges, disposable pens, pre-rolls, syringes, edibles and more. 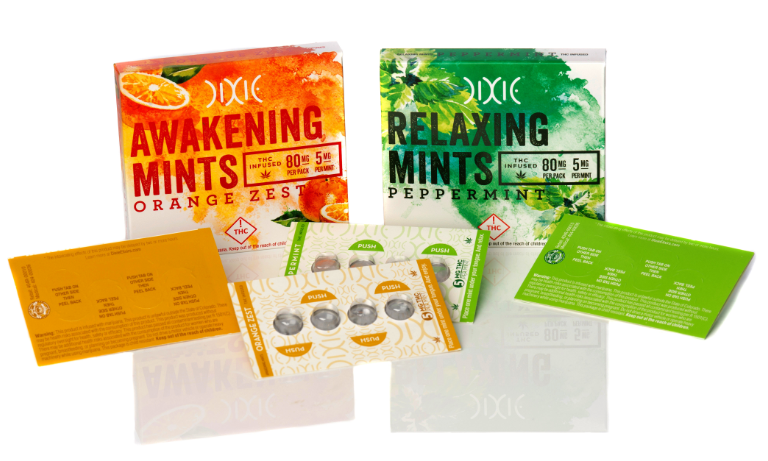 Duallok packaging can be tailored to fit a wide range of products in the cannabis space, the company explains. Sustainability is incredibly important to consumers, notes Warner, and cannabis packaging must keep up the pace in this respect. 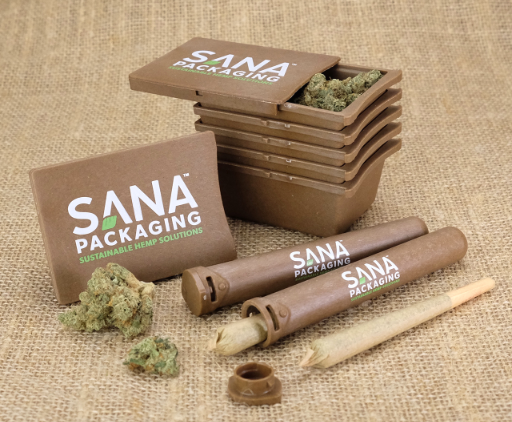 Sana Packaging’s first two commercial products are the Sana Container and the Sana Tube. The Sana Container is a versatile child-resistant box with optimal space for branding and compliance labeling and a nesting design that allows for efficient shipping and storage. 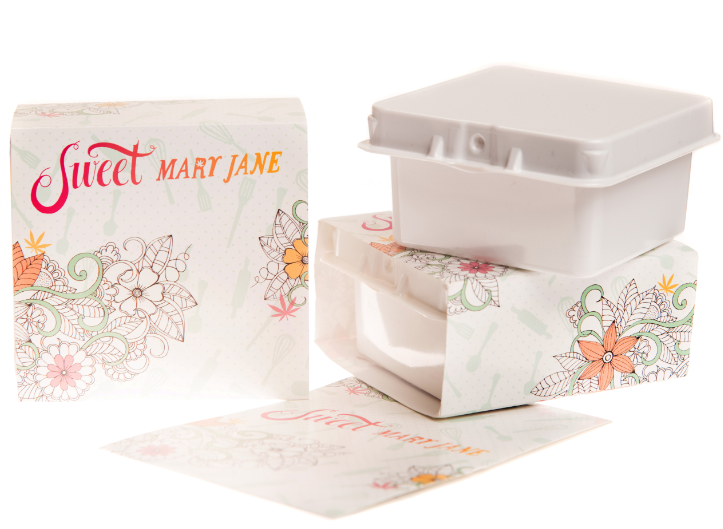 The Sana Container is ideal for flowers, concentrates, vaporizer cartridges and edibles. Click to EnlargeSana Packaging’s first two commercial products are the Sana Container and the Sana Tube. The Sana Tube is a versatile child-resistant tube that is ideal for pre-rolls (joints/cigarettes), vaporizer cartridges and vaporizer pens. “Hemp packaging is far from mainstream, but it is already in commercial use. 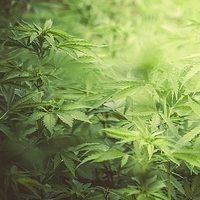 Hemp Press, a company based in Oregon, specializes in hemp paper/paperboard packaging. As for hemp plastic packaging, Sana Packaging will be the first company to commercialize that as far as I know. While our current focus is on the cannabis industry, we plan to expand to other packaging verticals in the future,” says Eichner. The changing legal face of cannabis use and the regulations around packaging that follow it will undoubtedly be an interesting feed to follow in 2019, as well as the innovative brands and suppliers innovating in this space. 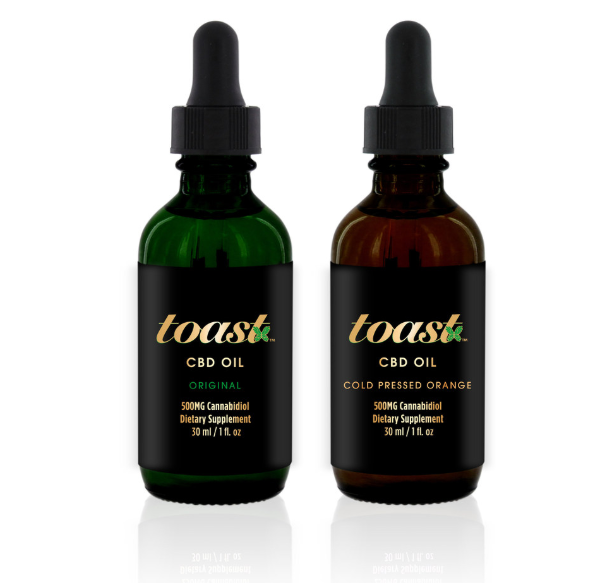 Furthermore, the extensive scientific research regarding the health benefits of CBD, such as anti-anxiety, pain relief and anti-stress, coupled with widespread media coverage will also continue to stimulate the food and beverage industry to create compelling and mainstream product development using CBD as a functional ingredient. The future, it could be said, may be green.